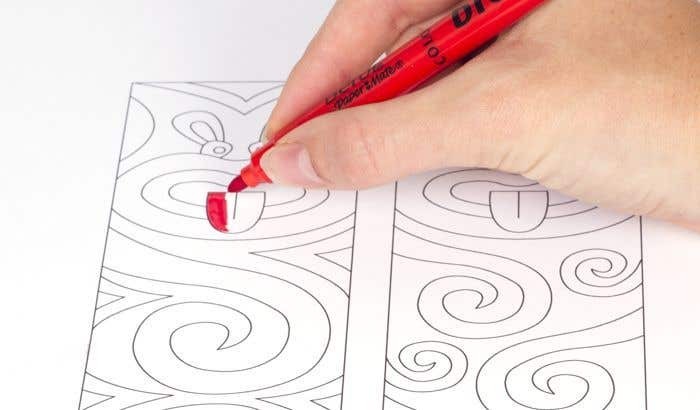 These colouring Maori art bookmarks are great fun for the kids to make. 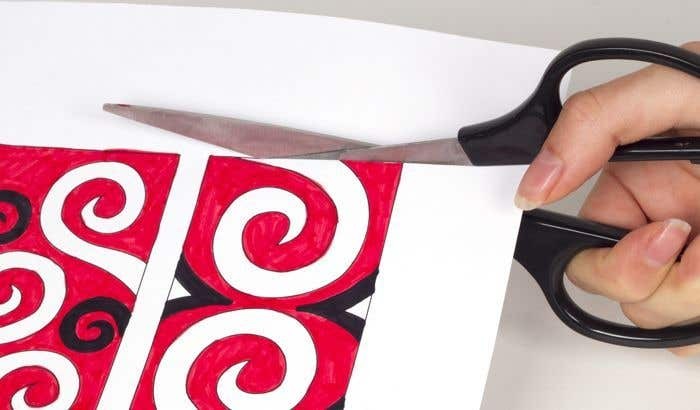 Download and print out the Maori art colour in bookmark templates onto white A4 copier card. 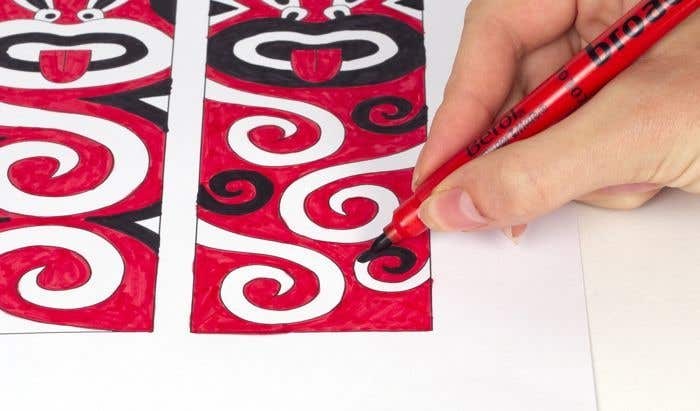 Colour in the bookmark designs using red and black felt pens. Once the pen ink has dried, use scissors to carefully cut out your bookmarks. 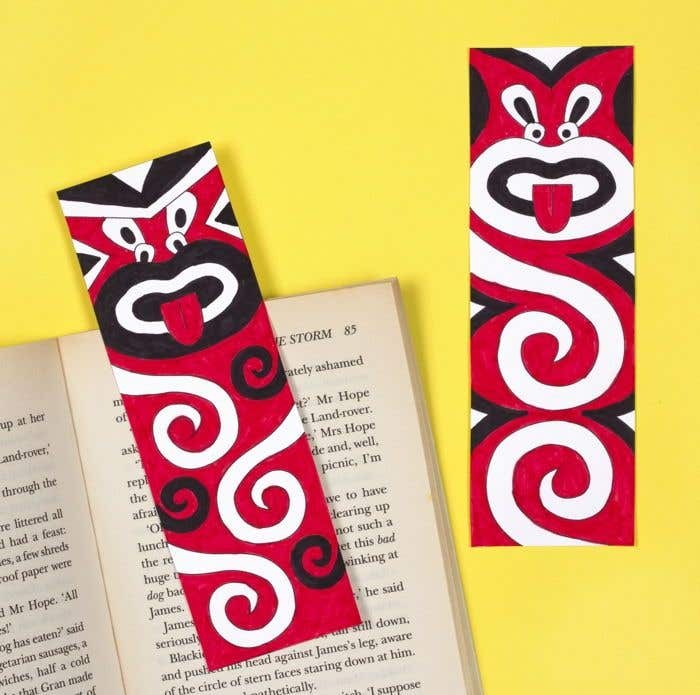 Wait a few minutes after printing before you colour the bookmarks in to prevent the ink from smudging.